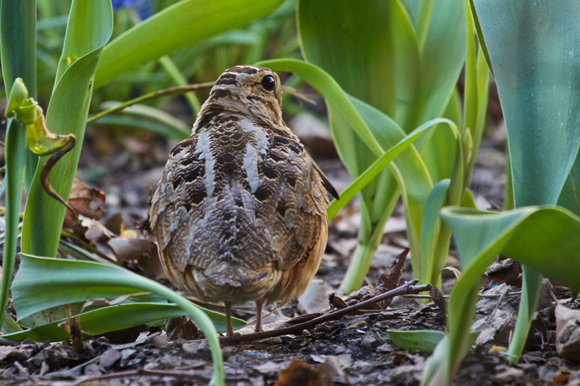 We had a rare sighting on our weekly Birding Tour of Bryant Park last Thursday evening: an American Woodcock sleeping under some shrubbery on the south side of the park. Out of 15 people in the group it was the youngest member, a little girl taking the tour with her father, who spotted the bird. 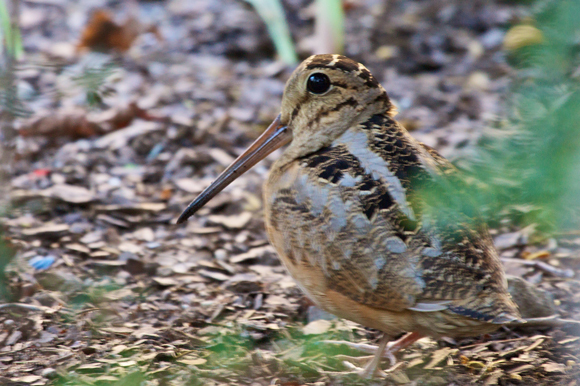 Gabriel Willow, Senior Naturalist at the New York City Audubon Society and leader of our tours, immediately identified the bird by its extraordinarily long bill, which it uses to probe the dirt for earthworms. Click here to listen to the American Woodcock's call, and join us on our next Birding Tour to learn how to identify it amongst the sounds of midtown Manhattan.